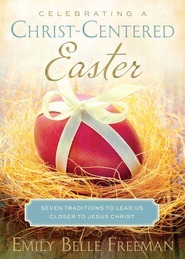 This is a tender and reverent re-telling of the story of Easter. I can only imagine the kinds of discussions that will occur with children as they turn these beautifully rendered pages. The rock pictures cannot fail to rouse your creative juices. It's impossible to look at rocks as you have in the past! A book meant for all Christians--and nature lovers,--adults as well as children!